Tobias Whale is arrested following a robbery at a Stagg Industries warehouse, but Whale is not going to go down easily. After Whale’s lawyer, Milo Match, demands that Lieutenant Gordon release Whale, Gordon’s daughter Barbara is kidnapped. With no other options, and time running out, Gordon is forced to ask Batman for help. While monitoring Whale’s men, Batman learns that Barbara has been taken to “The Cauldron”, a former industrial park that became the most dangerous part of Gotham following the city’s financial crisis years ago. With Katana’s help, Batman stages a raid on the Cauldron, which is populated by a gang of criminals called “the Ghosts.” But they aren’t the big threat here, it’s the man guarding Barbara known as Phosphorous Rex. After a “previously on Beware The Batman” segment we got straight into the episode. Once he has defeated Tobias Whale and left him for the police, Batman returns to the Batcave to see if he can perfect an armoured suit for Katana. The suit is however too restrictive and so Katana instead chooses a suit of her own design. Meanwhile, Gordon is interrogating Tobias Whale. Whale threatens Gordon but Gordon ignores him and orders him to be taken to a cell. 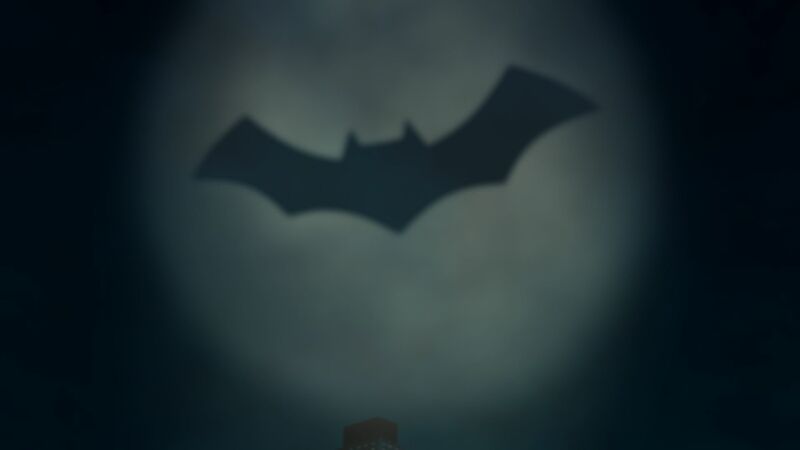 After Barbra Gordon is kidnapped, Gordon’s only choice it to make contact with Batman by constructing a signal which projects a giant Bat into the sky. Once knowing the details The Dark Knight is straight onto the case. With the aid of Katana and Alfred Batman manages to track down Gordon’s missing daughter in an old chemical plant inhabited by paid members of Gotham’s underworld. After the gang assemble to rescue Barbra the story gives us a twist, that Whale’s lawyer is also his main enforce Phosphorous Rex. After defeating Rex, Batman leaves Gordon now having more faith in The Caped Crusader. Allies gives us an intriguing new genesis of the Batman family. By the end of the episode characters have changed, Gordon now accepts that he and Batman are on the same side and both Batman and Katana realise that working in sync with one another is the best way to achieve their goals. In this way the episode manages to bring the central characters closer together and also shows more depth to them than we have seen previously. The only real flaw in the story is Whale’s enforce, Phosphorous Rex aka his lawyer Milo Match (I know, dreadful pun). He doesn’t really get any background, we don’t know how he got his powers and we don’t know why if he has such incredible powers (ie being able to create fire using his hands) he is working for a low down crime boss like Tobias Whale. Maybe this will be shown in future episodes however I doubt it. The sole existence of the character was to create tension by kidnapping Barbara, which he did create. Allies is a fun little episode which gives us more detail into the working of both Batman and Gordon as well as tantalisingly showing how two people who could not be more different become the best of friends.